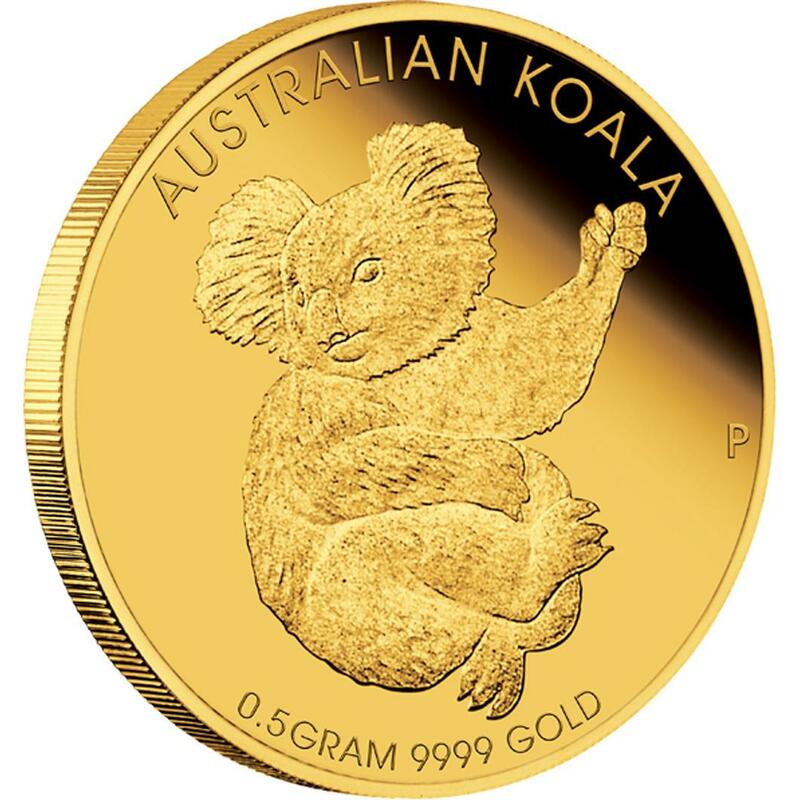 The coin is composed of half a gram of 99.99% pure gold and features the likeness of a koala on its reverse. Mintage of the release is unlimited with the final number issued announced at the end of production. "This delicate, button-sized release presents a golden opportunity to own an iconic Australian coin," describes a release from the Perth Mint. 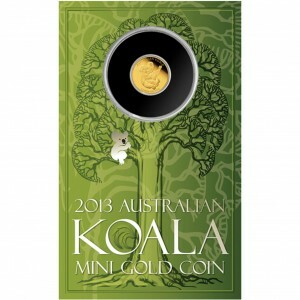 As stated, this marks the first time the Perth Mint of Australia has issued a Mini Koala Gold Coin. However, many may be familiar with the similar Mini Roo Gold Coin which has been issued annually since 2010. Also, the Perth Mint is no stranger to koala related coins. Among other items, the Koala Silver Bullion Coins have been issued for years. Shown on the reverse of the 2013 Mini Roo is a single adult koala design by Perth Mint artist Tom Vaughan. Inscriptions surrounding the marsupial include AUSTRALIAN KOALA, 0.5 GRAM 9999 GOLD and the Perth Mint's historic 'P' mintmark. These coins are struck as legal tender of Australia under the Australian Currency Act of 1965. Accordingly, the obverse contains a portrait of Queen Elizabeth II by Ian Rank-Broadley. The effigy is surrounded by the inscriptions of ELIZABETH II, AUSTRALIA, 2013 and the legal tender face value of 2 DOLLARS. Each coin is presented in a protective acrylic capsule attached to a colorful wallet-sized card. Specifications of the release include gold content of 0.016 troy ounces with a diameter of 11.60 mm and a thickness of 0.70 mm. Those interested in ordering a 2013 Mini Koala 0.5g Gold Coin may do so directly from the Perth Mint of Australia via the affiliate link below. Current pricing of the strike is shown as AUS $ 54.09 (US$ 49.62), but is subject to change based on current gold market conditions as well as exchange rate fluctuations.